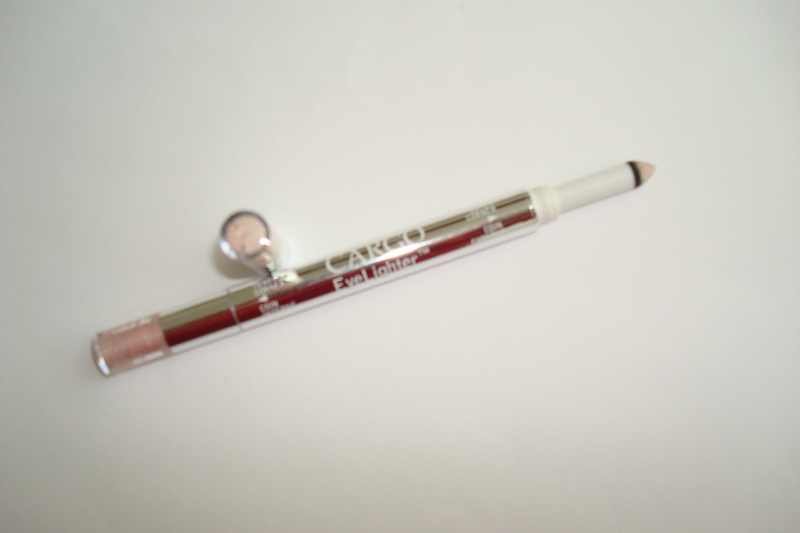 I’m in love with this EyeLighter pen by Cargo Cosmetics. It’s the best makeup trick for brightening and widening your eyes. On one end we have a shimmering gold shadow and on the opposite end a gorgeous matte gold. The shimmer can be applied under the brows and lower lashes while the matte gold to the corner of your eyes, creating an amazing eyelift that gives an amazing youthful glow. EyeLighter by Cargo Cosmetics gets a TEN! We’re not longer available at Sephora!